There is only one opportunity to successfully launch a pharmaceutical brand. Brand leaders must navigate pitfalls and obstacles by planning, coordinating, and executing a comprehensive plan that will set a trajectory toward brand success. We call this plan the Integrated Launch Plan. WHAT IS AN INTEGRATED LAUNCH PLAN? An integrated launch plan is a cross-functional approach to marketing that all pharmaceuticals – from big to small – ought to follow. Without an integrated approach, the launch will fail before it begins. This meticulous plan ensures an appropriately timed launch and mitigates the risk of missing phase deadlines that can ultimately lead to launch postponement and missed market opportunities. 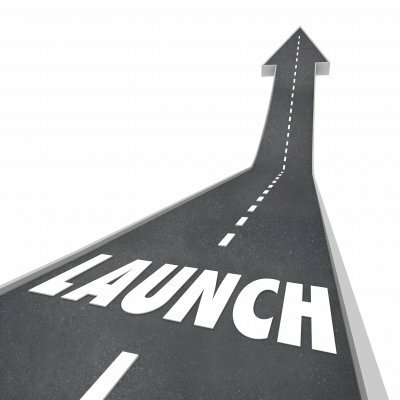 Quite simply, everyone who partakes in the brand launch process needs to be involved in the Integrated Launch Plan. Team members will need to work together and, more importantly, communicate effectively throughout both the pre-launch and launch phases. In the pharmaceutical space, the marketing strategy needs to be implemented across all departments including marketing, regulatory, legal, market access, sales, accounting, and manufacturing. This ensures that all aspects of a launch work together cohesively toward a successful outcome. And, of course, Senior Management needs to ensure that the launch plans, strategies and tactics are in line with corporate goals and objectives. Because of the number of key stakeholders, many pharmaceuticals are likely to face communication challenges in developing their integrated launch plans. Smaller companies are likely to have fewer communication challenges due to small team sizes and more control over the process; however, this means that very a small group of people will need to account for everything: sales, marketing, access, supply chain, finance, legal, regulatory, medical, etc. The overwhelming responsibilities and workload required to successfully execute an integrated plan can present potential risks and oversights caused by a lack of man power. Integrated launch plans are challenging enough for a single company to manage; now imagine the complexities that might arise with a cross-company or partner launch. This presents a whole new layer of intricacy that must be considered as brand and strategic imperatives are now multiplied by two. And, if one company is a private company and the other is public, the private company will need to align with the public company’s reporting obligations to the financial and regulatory markets, something that it’s likely not used to and probably not well-versed in. Taking a step back and looking at the entire landscape of an integrated launch, it becomes clear that proper planning and management are paramount to its success. An experienced project manager is often the critical missing link to ensuring that an integrated launch plan is successfully designed, planned and implemented. The project manager will oversee the process and make certain that the proper planning, collaboration, and communication is happening across all stakeholders. Additionally, the project manager can ensure that the right people are in the right “seats” on the product launch team thus confirming that the appropriate allocation of “man power” is in place to mitigate risks and increase productivity. CMK Select has a proven team of brand launch professionals who can help pharmaceuticals develop and implement their integrated launch plans for a successful brand launch.